Shadows dance upon the walls of Robert Wiene’s Das Cabinet Des Dr. Caligari (1920). The world of shadows and light, edges and angles, the slanted and the macabre, all seem so much more at home in silent cinema as a whole; images that negate sound have a very natural ghostliness to their nature. This is doubly so for a film that nigh on invented horror cinema and psychological cinema as we know the forms today, for Caligari really is the birth of the horrific. For such a long time, even the restored versions of this widely acknowledged masterpiece have been poor in comparison to its cinematic bedfellows. For the first time in twenty years, a new, detailed, and complex restoration has been applied to the film, ready to be released in cinemas (29th of August) and through Eureka’s Masters of Cinema label (29th of September). Caligari is a film littered with detail and psychological traits. It’s arguably one of the first psychological thrillers, deeply imbued with Freudian nightmares and imagery akin to a disturbed psychoanalytical reading. The film takes horror, still a form in a relative cinematic infancy, and uses it to question the new inner worlds of psychology. The narrative splits into two strands that gradually intertwine and twist into a solid, if not now overly familiar, narrative. In a pointy, expressionistic town, a performing hypnotist Dr Caligari (Werner Krauss) is showing off his future-predicating somnambulist, Cesare (Conrad Veidt). 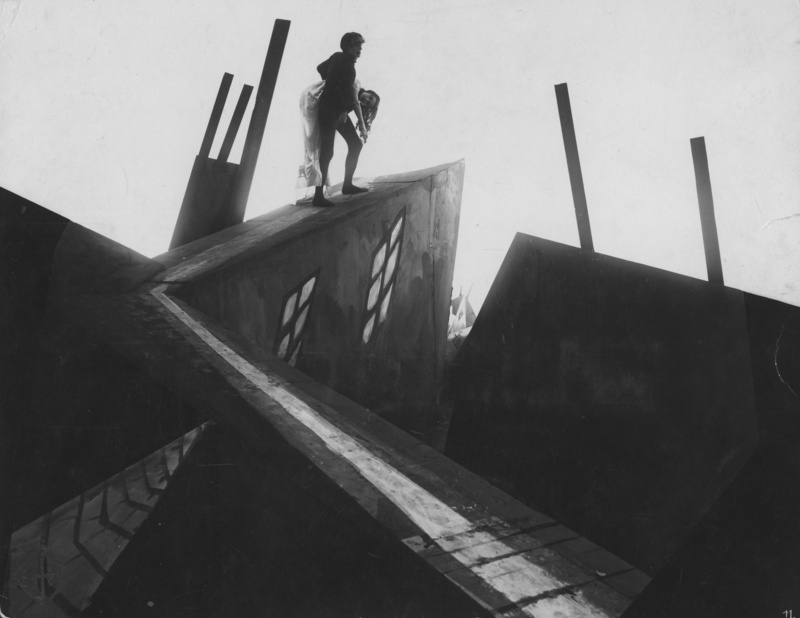 Cesare is not, however, all he appears to be and when night descends upon the crooked town, he performs Caligari’s monstrous biddings, almost akin to the golem’s position in Paul Wegener’s Der Golem made in the same year. Murder and intrigue follow before an early cinematic twist that moves the narrative even further into the dream world that it visually basks in for the majority of its running time. Whilst other films from the era have garnered stronger followings (Murnau’s Nosferatu (1922) being the obvious example), Caligari has taken its time in rising to the heights of silent horror. Its restoration narrative alone shows this, with lower quality editions often being the norm since the early 1980s restorations. Previous editions have often suffered from an overly contrasted image, turning the heavy make-up of Veidt and others into mere blurs. This edition shows just how sharp Wiene’s images really are, taken from the original 90 year-old camera print which has miraculously survived. It’s a true revelation. Even when watching the previous restorations (the 1996 release being the norm), there’s a sense that there’s been little to be done with the impossibly old-looking surface of the film. It is after all only six years off being a full century in age. The detail previously lost in a haze of murky contrast, unintentional jump-cuts due to missing frames, and a multitude of scratches has returned. The shadows on Veidt’s face are as sharp as Wiene’s buildings; the former’s cheekbones having a natural likeness to the endlessly pointy roofs. This could all be attributed to German Expressionism but, as the film’s links with the movement are so often discussed, its only mention here will be that even the film’s casting seems to chime with this movement’s stylistic mantra now that their detailed faces and shadowy eyes are no longer a literal impression caused by degradation of the celluloid. Even the colour tint now seems far less garish than previous editions; the tint often adding to the haze of earlier restorations of the film. The mixture of digital reproduction of the tint and the original photocolour restoration is a complete blessing for the film. The nightmarish town is now washed through with an icy mint whilst an orange sepia invades other scenes, making them seem almost sickly and inescapable. Wiene clearly lit and had his wonderful sets designed to bring out these colours in contrast. For what appears to be the first time, the design is done full justice as the colours react with the shadows in perfect harmony; none of the blurring of edges and fuzzy movement. Also of note is what appears to be a new score by the Hochschule für Musik (not the John Zorn score which he is only performing live with the film) which slightly improves on Timothy Brock’s overly modernist music from the 1996 restoration. It seems far more mature and less fairground in its tonal colours, fitting for the film’s horrific and complex content (and also more trusting in Wiene’s pointy visuals). Whereas previous music had often added to Caligari as a side-show, aptly in a way as Caligari is himself is a side-show man, the film seems more serious and more affecting. Some moments even reflect Bernard Herrmann’s score for Alfred Hitchcock’s Psycho (1960) though whether this is an intentional recontextualisation or not is debatable but highly appropriate for a film that gave birth to the possibilities of psychological horror. 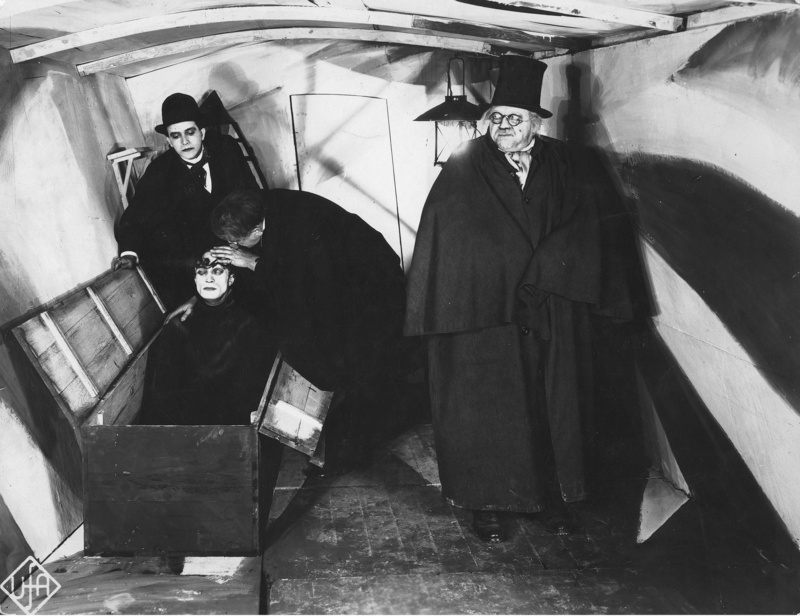 Never before has Das Cabinet Des Dr. Caligari looked so good. It’s a film that has often been held up as an early pinnacle of cinematic visuals but, for the first time, the film’s design, lighting, and direction have actually been done complete justice in this frankly astounding 4K restoration. Whilst many will be familiar with the film in its basic guise, there’s something that feels refreshingly new about this edition which is the ultimate feat for a film that is 94 years old. 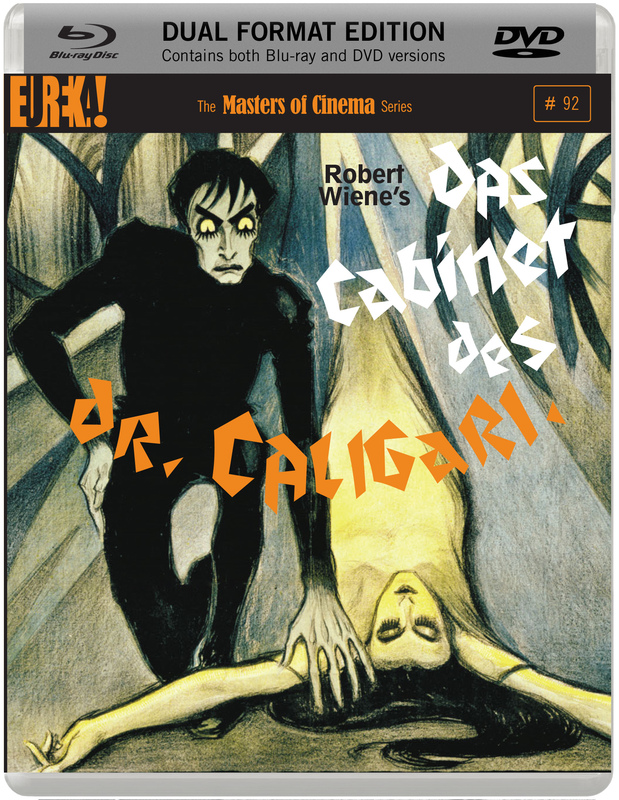 Das Cabinet Des Dr. Caligari is in cinemas from the 29th of August. It is released on the Masters of Cinema label on the 29th of September. The Aural Aesthetics of Ghosts in BBC Ghost Stories – Part 1 (Introduction).